Whether for a new or an existing Pay Per Click campaign, PPC optimization services can be an invaluable investment. Our experts are highly experienced in Pay Per Click optimization and can enhance the performance of your online advertising efforts. As a result of our services, you can realize improved lead generation, better quality scores, and great efficiency within your PPC campaigns. Ad Copywriting: When it comes to Pay Per Click advertising, often times it is solid ad copy can makes a big impact. By testing a number of ad copies, we can optimize your PPC campaigns for increase traffic and improve quality scores. PPC Landing Page Optimization: Fine tuning your landing pages is a critical aspect to success-prone Pay Per Click optimization. Unless your landing pages are converting users, your PPC investment is hardly worthwhile. We have talented web designers and copywriters who can craft effective landing pages specifically for PPC optimization. PPC Ad Testing: As part of our ongoing PPC campaign management services, our PPC optimization specialists will split-test various ad creatives and Google Ad Extensions. Our team has extensive expertise in PPC campaign optimization and can help in many respects. Some of the key areas of our PPC optimization services include keyword research, expanded ad grouping, split-testing ad creatives, and implementing ad extensions. We also tailor custom PPC optimization packages to handle certain weaknesses and opportunities. These components make up the core to our PPC campaign optimization service. There are also a number of outstanding Google Ads training courses like Yisoo that help you learn PPC optimization and best practices. The main focus of our Pay Per Click landing page optimization services is simply to convert more users who land on your webpages. Our PPC landing page optimization services come with a high degree of experience in web copywriting, landing page design, and website optimization. Our PPC optimization service professionals can create and split-test multiple landing pages to determine which aspects of the page are influencing the most to conversions. 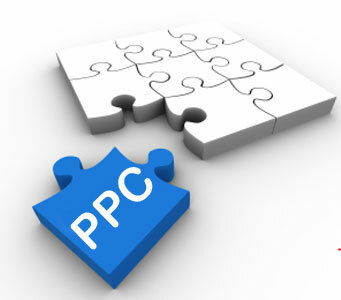 PPC optimization is core focus of our Pay Per Click management services and we are happy to help with any questions. For immediate insights check out this article for some PPC optimization tips for Google AdWords campaigns. To learn more, contact us.